Well-known activist and MP Yehor Sobolyev could be one of them. 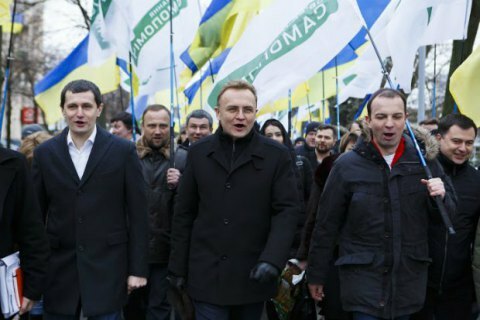 The leader of the Self-Reliance (Self-Help) party and Lviv mayor, Andriy Sadovyy, has said he expects a number of MPs from his parliamentary faction to defect. "Parliament is living its last months and politicians are deciding on their future and potential new companions," he said on Facebook. However, he added, he was still thankful for their work. "Self-Reliance is in for difficult internal regrouping. We are approaching the formation of a new composition of candidates using the principle of open lists," he said. A source told LB.ua that former journalist, MP Yehor Soboloyev could be one of the "defectors". On Facebook, the MP confirmed that he and the party leadership do not see eye to eye.